Silver is one considered one of three precious metals along with gold and platinum, making silver jewelry precious items to have. Like gold, pure silver is soft and needs alloys, such as copper and zinc, to make it more durable. Unlike gold and platinum jewelry, silver can tarnish quite easily. However, the tarnish can be easily removed with silver polish or simple household ingredients that include an aluminum pan, baking soda, and water. Most silver jewelry is sterling silver jewelry, which has 92.5% or 0.925 of pure silver. GoldenMine also offers Argentium silver rings. Argentium silver is one of the finest types of silver that is low maintenance, whiter than white gold and platinum, and stronger and more durable than traditional sterling silver. Out of the three precious metals, silver is the most affordable. 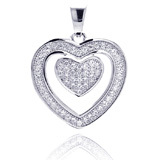 People can have beautiful, fine jewelry at prices that they can afford with sterling silver jewelry. 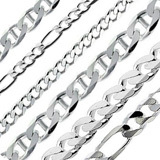 Silver jewelry is very popular, especially in the U.S. One of our top sellers in silver jewelry are the men's silver chain necklaces and large silver hoop earrings. These items are classic pieces to own that continue to add a touch of timeless elegance to any attire. 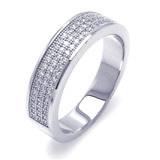 Silver jewelry with diamonds is gaining more popularity than ever before, especially with steep gold prices. The White Ice | London jewelry collection, highly popular in the U.K., features these lovely silver diamond earrings, pendants, rings, and more, and we are delighted to offer them in GoldenMine. Our gemstone silver jewelry rings and pendants are also popular, especially as Christmas and Valentine's Day gifts. They add a nice colorful touch to any fashion attire at a more affordable price. 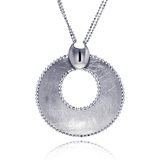 Sterling silver jewelry remains popular jewelry adornments. 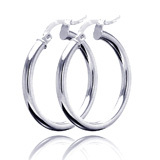 Our silver earrings, rings, bracelets, and other jewelry pieces are made with quality and care. Feel confident in wearing our fine sterling silver jewelry. Let our jewelry experts help you find your silver jewelry. Check out our Jewelry Buying Guides - Contemporary Metal Jewelry Accessories, Chain Necklaces and Bracelet Styles, and 5 Buying Wedding Band Tips - or email or call our Customer Service during business hours.